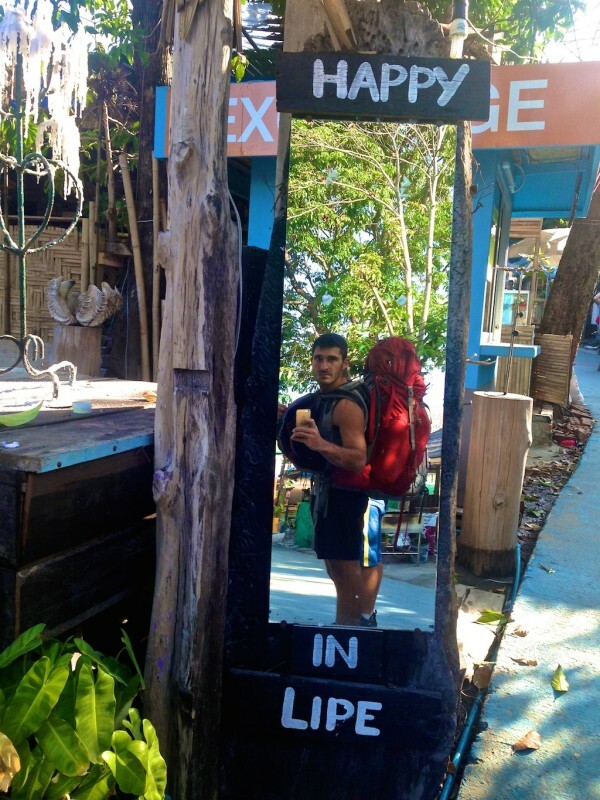 During our island hopping adventures in Thailand, we stayed over a week on Koh Lipe, which we found to be quite a popular gay destination. 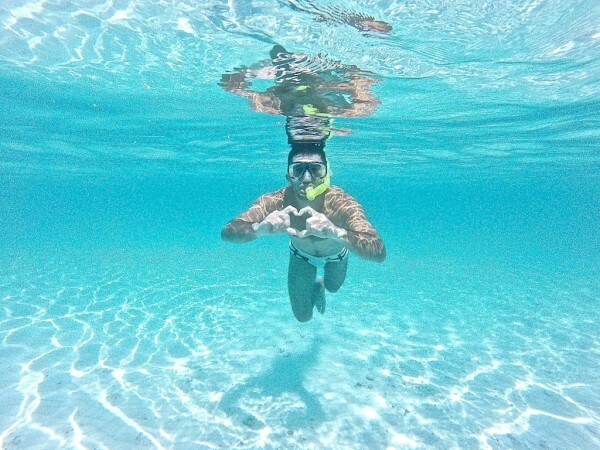 We investigated to try and find out if Koh Lipe really is as gay as it appeared to us. Koh Lipe is a small island in Southwest Thailand in the Andaman Sea, close to the Malaysian border and part of the group of Tarutao National Marine Park islands. It is not national park land itself, so it has been developed, a lot, for tourism. We stayed over a week in a bamboo hut at the excellent Gipsy Resort, owned by couple Robert and Krom, on Sunrise Beach. We made friends with the many gay couples who were also staying at the Gipsy Resort and enjoyed many Margharitas and Singapore Sling cocktails together. 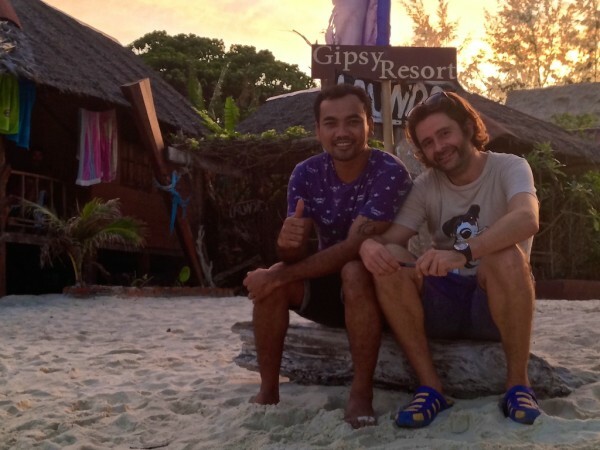 We also met a few gay couples staying at the very romantic Serendipity Beach Resort also located on Sunrise Beach, which is the most beautiful beach on the island and also great for snorkelling. Sunrise beach was not only a popular gay hangout but the best beach on what has become an overdeveloped island. We also found an excellent chill out lounge there, part of the Salisa Resort, which played really nice music in the afternoon and early evening. 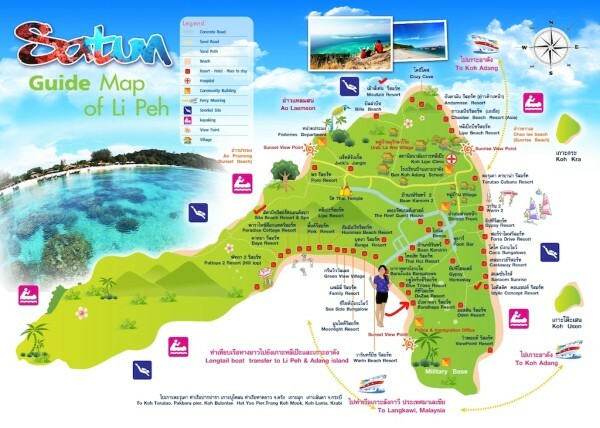 The Walking Street on Koh Lipe is the beating heart of the island with many restaurants and bars. Maya Bar and Mellow Mango were particularly popular hangouts for gays where you can buy delicious cocktail buckets for 400 bahts (around £8 / $12). We spent Valentines Day on Koh Lipe and had our special meal at the Idyllic Concept Resort located on Sunrise Beach. It wasn't the cheapest but our tables faced the sea and had a nice romantic setting. Their cocktails were the best we had on the island. Our overall favourite restaurant was the Italian La Luna, located just off the Walking Street, which is also a bakery and makes delicious inexpensive pizzas for around 300 bahts (£6 / $9). It might be a little bit inconvenient to visit from China, since there are no direct flights to there. But I’m interested in details to run a gay resort by a beach. Great post guys . It’ll come in handy when we get there in a couple of weeks time .